¶ Ólafur Arnalds and Nils Frahm work together on an album. Two rather well known names and Ólafur is only getting a bigger name with each release. ¶ I myself am a big Ólafur Arnalds fan and have been since first got my copy of Antigone by heaven shall burn then his fist solo album eulogy for evolution. Nils Frahm I will admit I have heard off but never really listened to any of his music. ¶ The EP is more of an electronic style album less of Ólafurs normal piano/keyboard and violins. This album is rather striped back with no a lot going on at any one time. The first time I heared this album it made me think of the TRON soundtrack for the more electronic music. Which is good and this EP is really good but if you are a Ólafur fan have a listen first. ¶ Some sections of the tracks can be a little repetitive such as most of B1 is similar throughout but towards the end become more like original Arnalds. ¶ A third full album has been recorded and is in its mastering/mixing process, to be released. 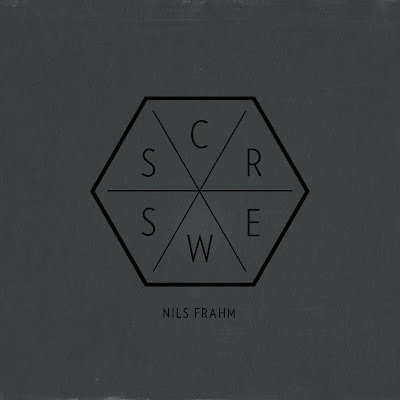 ¶ Nils Frahm is a German musician and composer based in Berlin. He has released solo material under his own name and also with several notable performers such as Anne Müller, Ólafur Arnalds and F.S. Blumm. ¶ Frahm had an early introduction to music. During his childhood he was taught to play piano by Nahum Brodski, a student of the last scholar of Tchaikovsky. It was through this that Frahm began to immerse himself in the styles of the classical pianists before him as well as contemporary composers. Today Frahm works as a composer and producer in Berlin. In early 2008 he founded Durton Studio, where he has worked with like–minded musicians. ¶ Nils Frahm, born on September 20th 1982, had an early introduction to music. During his childhood he was taught to play piano by Nahum Brodski — a student of the last scholar of Tschaikowski. It was through this that Nils began to immerse himself in the styles of the classical pianists before him as well as contemporary composers. ¶ Today Nils Frahm works as an accomplished composer and producer from his Berlin–based Durton Studio, where he has worked and collaborated with many contemporaries such as Peter Broderick, Ólafur Arnalds, Anne Müller, Deaf Center, Efterklang and Dustin O’Halloran amongst other fellow musicians. His unconventional approach to an age–old instrument, played contemplatively and intimately, has won him many fans around the world. ¶ For a musician this early in his career, Frahm displays an incredibly developed sense of control and restraint in his work, catching the ear of many fans including Thom Yorke, who featured one of Nils’ songs in Radiohead’s HQ office chart. As the recognition continues to grow for his previous solo piano works ‘Wintermusik’ (2009) and ‘The Bells’ (2009), October 10th 2011 saw the release of his most acclaimed album to date: ‘Felt’. ¶ Having recorded his last album live in a large, reverberant church, Nils Frahm now invites you to put on your headphones and dive into a world of microscopic and delicate sounds — so intimate that you could be sitting beside him. ¶ ‘Felt’ creates its own personal microcosm, offering a refuge of tender and honest beauty.